Memorial Day weekend is without a doubt one of my favorite times to be in Detroit! 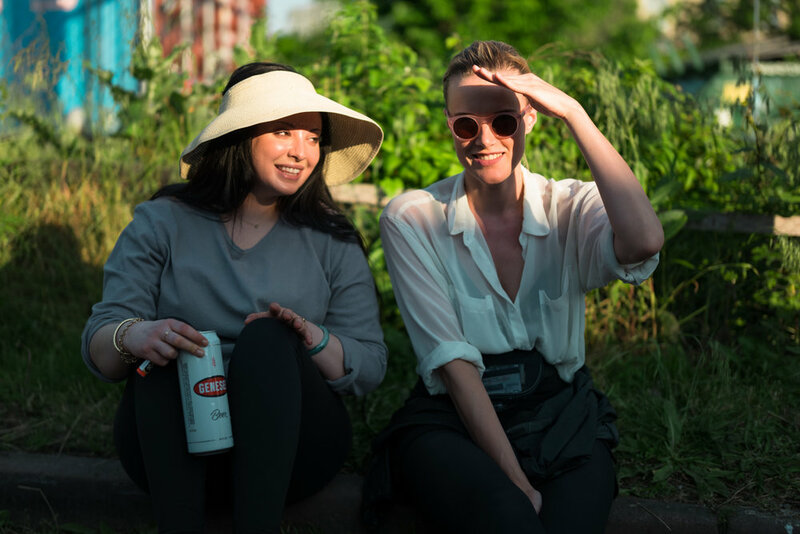 Every Memorial Day weekend since 2000, Movement music festival brings techno lovers and DJs from all over the world to Hart Plaza. 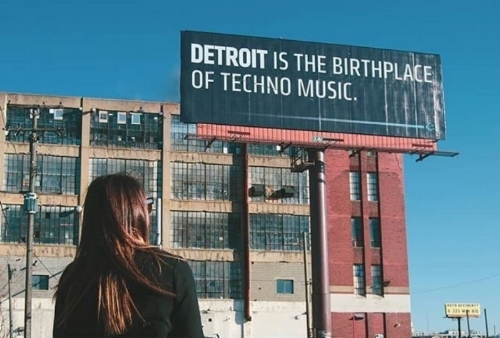 The festival celebrates Detroit as the birth place of techno and vibrates beats through the city from May 25th-May 29th. Although I love the festival, it’s the parties throughout the city that really kick off summer in Detroit with a BANG. · The weekend jumpstarts on Friday, May 25th with the movement pre-party at Marble Bar. Matthew Dear will be amongst the list of headliners who will kick-start the weekend full of techno. · One of Detroit’s favorite party host, Freakish Pleasures, will return to get weird on May 28th. 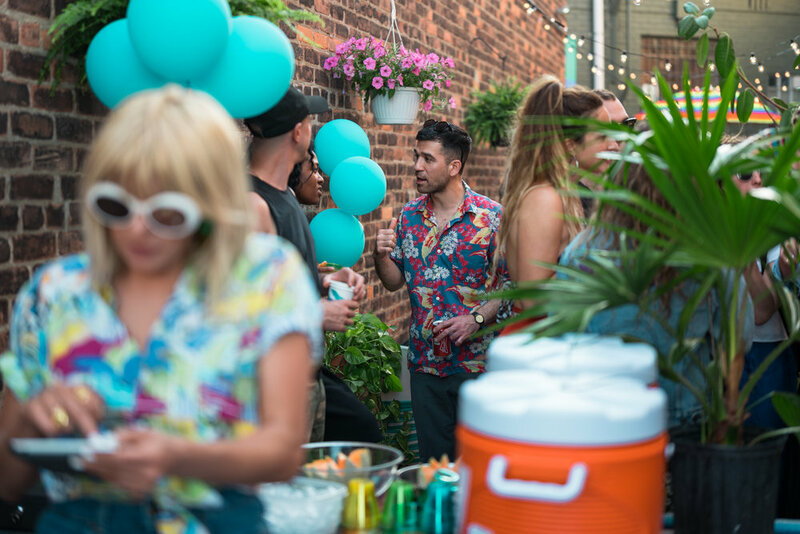 The party has a long line-up of artists including Detroit resident DJ, Ryan Spencer. This party starts at 9 a.m. and goes until 4 p.m. the next day, leaving lots of time for the dance party get down. · This is a weekend not to be missed at TV Lounge, who is known for its year-round techno and summer patio parties. The party starts on Friday the 25th with a free BBQ and an outdoor DJ set all night. The dancing continues on Saturday when Egyptian Lover and Stacey Pullen play amongst a killer line up of DJs. 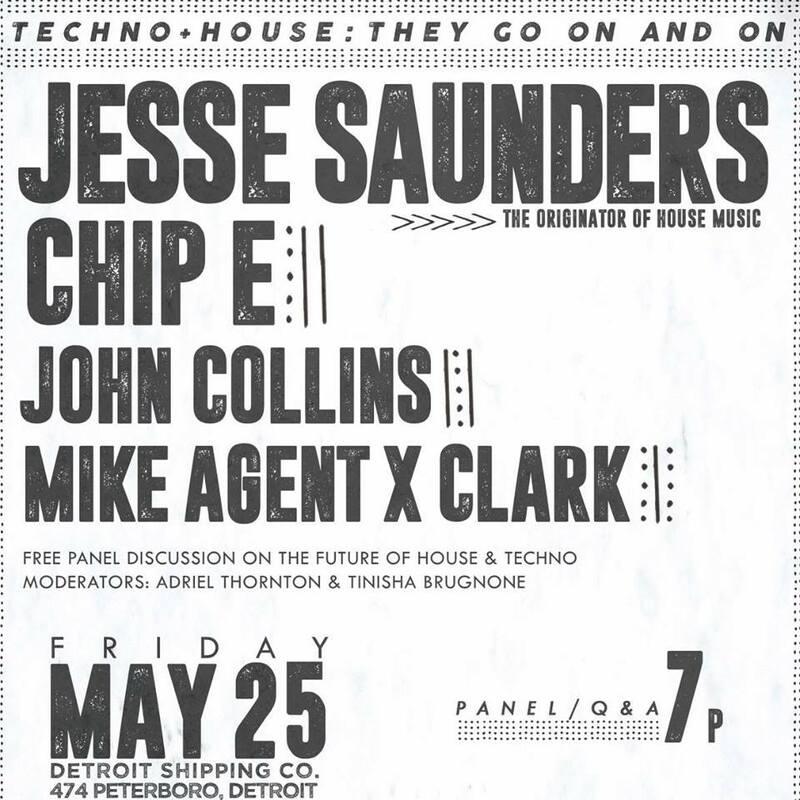 Detroit Shipping Co.: Don't miss the inaugural party "Techno & House: They Go On and On," at the Detroit Shipping Co. Jesse Saunders, originator of house music joins Chip E, John Collins and Mike Agent X Clark to tear down the house (or shipping container.) Come at 7pm for free entry and a rare panel discussion. The DJ's will discuss their perspective on the comping up of techno in Detroit and Chicago, but more importantly where the future of techno is going. 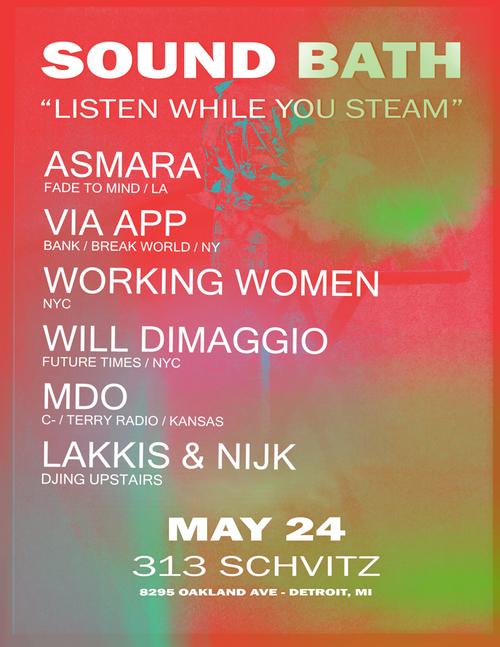 The Schvitz: SOUND BATH at the Schvitz #2 takes place Thursday, May 24th. This will be a co-ed steam party to get you warmed up for the weekend ahead. 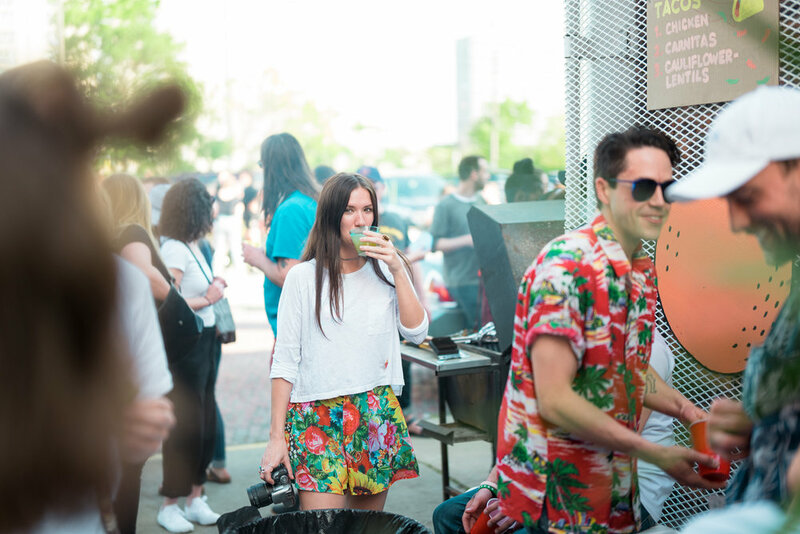 SMPLFD: On May 26th, our Eastern Market neighbors over at SMPLFD are partnering with Haute to Death to throw a tropical party, with a real back yard theme. 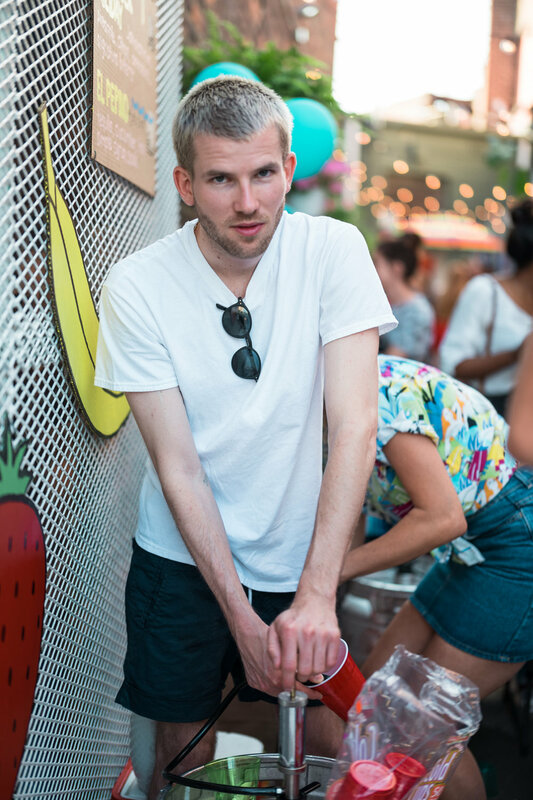 The free party, FEELIN' REAL GOOD will be lined with local DJs runs from 12-8 p.m. They will be serving up a taco bar, BBQ, and refreshments. There will also be giveaways, raffles, and party games to give even out-of-towners a neighborhood party feel. Check out the party vibes from last year below. Haute to Death will also be having a Haute 2 Death Swim Club pool party on Memorial Day for the ultimate weekend party and cool-down. The social club party tickets must be purchased in advance, when the location will be released. 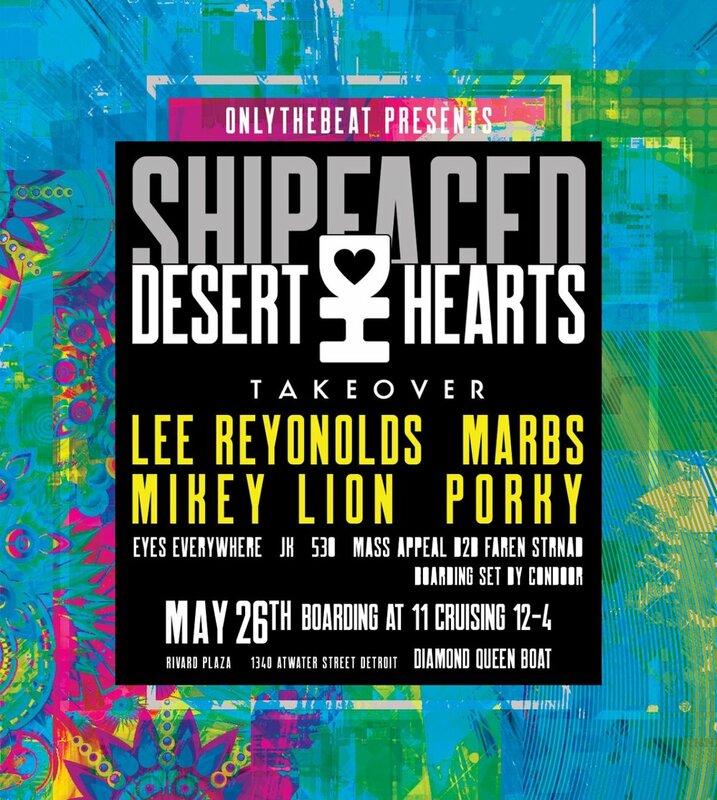 Diamond Belle Boat Parties: Techno takes to the Detroit River with boat parties such as Shipfaced and Just Add Water happening over the weekend. Since there will be limited seating, I recommend buying tickets in advance.